Excellent quality services : By choosing to outsource to us, you can rest assured that you will receive unmatched services and excellent quality assurance at Ginger Domain. Cost effectiveness : This is one of the best reasons to outsource to India. With a pool of highly talented and experienced IT professionals, Ginger Domain guarantees to reduce your costs by 40%. The time zone benefit : The difference in time zone is one factor that has invoked global companies to outsource to India. Ginger Domain guarantees 24/7 support. Outsourcing business solutions to India has become a growing trend today. With rapidly growing IT sector, reduced operating costs, and quality and reliable services in India, more and more organizations are choosing to outsource their core business solutions to India. 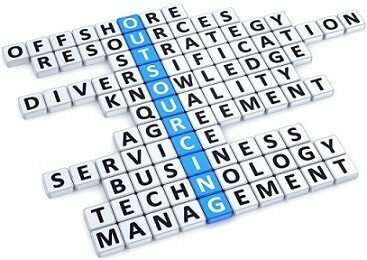 Outsourcing comes with several benefits, especially in terms of cost effectiveness, increased efficiency, achieving highest quality outputs, and timeline based projects. Hence, if you have decided to outsource to India, Ginger Domain provides the best opportunity for you. Your Search for Reliable On-shore Website Development Company for Outsourcing ends here! Ginger Domain is an established Indian based outsourcing company providing custom web solutions to firms around the world. With many years experience providing outsourcing services you can be rest assured that we’ll deliver the goods to spec and on-time. Many of our projects are done on a contract basis. We provide the same high-quality custom web services to you as we do to our own customers. We work on a white label basis to have the appearance that we are part of your company to your client or we can simply work directly with you.